These lamps are gorgeous. I put them in my living room for an upscale but casual feel. Love them!!! Don’t hesitate on these!! 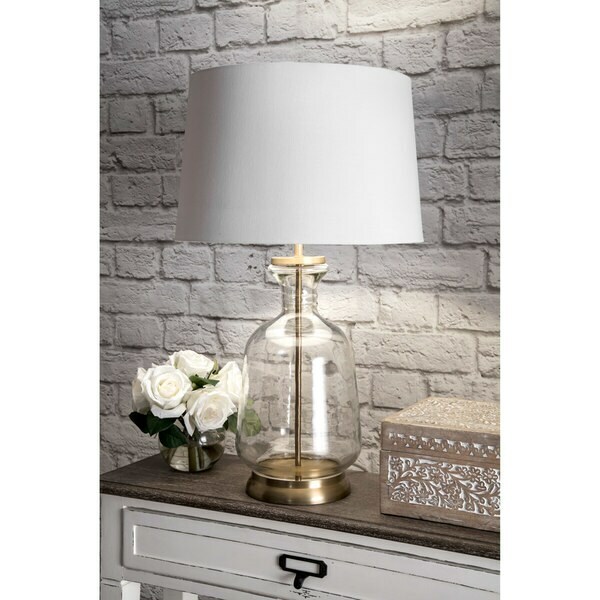 Let your room shine with the addition of this modern, 24-inch high, Iron & Glass table lamp. It has a Cotton shade that delivers bright ambient lighting. Add an vibrant flair to any room with its Gold finish. I love these lamps!! Well made and beautiful! "This item is sold out. Will you be restocking?"